The team at the Freud Museum introduce the celebrated psychologist Sigmund Freud, and his writing about war and humankind. 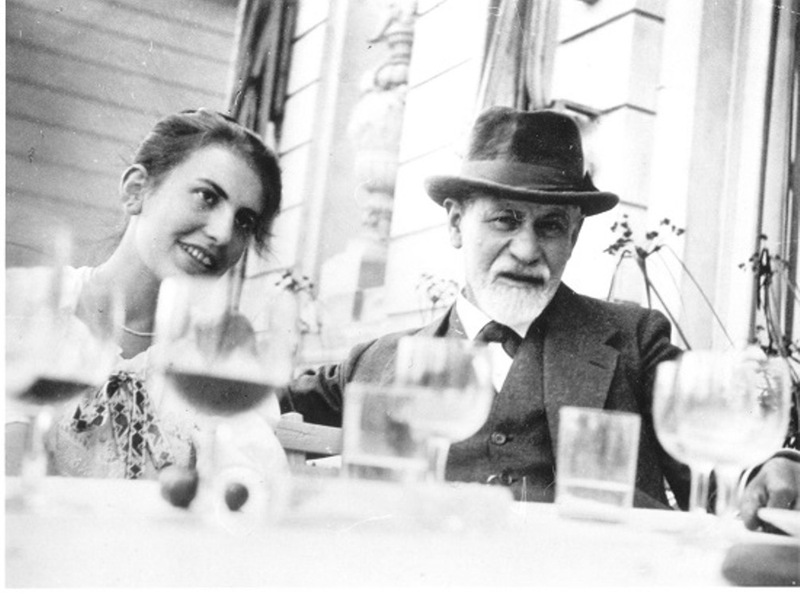 Sigmund Freud and his daughter Anna Freud, also an influential psychoanalyst, particularly in her work with children. Image copyright Freud Museum, London. Sigmund Freud (1856-1939) was well-known in his own lifetime for his controversial theory of psychoanalysis, key concepts of which are the significance of childhood experience in determining adult behaviour, and the analysis of dreams as a route to understanding unconscious thoughts and desires. Born to Jewish parents, Freud lived and worked in Vienna until the anti-Semitism of the Nazis in the build up to the Second World War forced him into exile in 1938. He sought refuge at 20 Maresfield Gardens, North London, where he spent the last year of his life. This house is now a museum where you can find out more about Freud and the history of psychoanalysis. The state exacts the utmost degree of obedience and sacrifice from its citizens, but at the same time it treats them like children by an excess of secrecy and a censorship upon news and expressions of opinion. It absolves itself from the guarantees and treaties by which it was bound to other states, and confesses shamelessly to its own rapacity and lust for power, which the private individual has then to sanction in the name of patriotism. Propaganda, used by governments to construct terrifying portrayals of the enemy, or to propagate misleading accounts of the progress of the war, deceived the public and brought them false hope. More recent conflicts have also shown how language is mangled in wartime – the tautologous ‘coalition of the willing’, the bewildering ‘friendly fire’, the euphemistic ‘collateral damage’ or the absurd ‘war on Saddam’ are recent evidence of a Tweedledum and Tweedledee use of language, making anything mean what we want it to mean. The individual who is not himself a combatant – and so a cog in the gigantic machine of war – feels bewildered in his orientation, and inhibited in his powers and activities. I believe he will welcome any indication, however slight, which will make it easier for him to find his bearings within himself at least. Sigmund Freud’s famous couch, where his patients would recline. Image copyright Freud Museum, London. In 1920, Freud was invited by the Austrian War Ministry to give his expert opinion on the treatment of soldiers suffering mental distress, and he advocated a more humane understanding and treatment of what was called ‘shell shock’. In 1932, he was invited to take part in a public exchange of letters with Einstein, looking at the causes of war and how to avoid it for good, which was published under the title Why War? Einstein asks Freud: “Is there any way of delivering mankind from the menace of war?” As a scientist, he felt unable to reach into “the dark places of human will and feeling” and proposed a practical solution – the establishment “by international consent, of a legislative and judicial body to settle every conflict arising between nations”. However he realized that even such a well-intentioned body as this would be subject to psychological factors, such as the craving for power. Freud gloomily observes the general principle that “the conflicts of men are settled by the use of violence” and that in a world where inequalities exist, there is “no use in trying to get rid of men’s aggressive inclinations” and that at best they can be merely diverted. Beyond inequalities in material terms, Freud also considers that men make inequality among themselves by their “tendency to fall in to one of the two classes of leaders and followers”. Freud agrees that a central authority of the kind Einstein describes would be necessary in order to prevent war, but states that it would only be effective if it were a “supreme agency” and endowed with “the necessary power”. He acknowledges the League of Nations as having the first of these, but sorely lacking in the second. Einstein was astonished at “the fact that it is so easy to make men enthusiastic about war”. Freud says this is due to man’s “instinct for hatred and destruction”, which can easily be directed towards the idea of an enemy. However, according to Freud, this instinct co-exists in men with the instinct “to preserve and unite”, thus he reasoned “anything that encourages the growth of emotional ties between men must operate against war”. Neither Freud nor Einstein could arrive at a satisfactory answer to ‘Why War?’, or a way of preventing it. Freud would see for himself the impact of these questions when the Nazis rose to power in Germany and their anti-Semitism, encouraged across the country through propaganda, forced him to flee for his life. He moved to London where he continued to write and work, dying in September 1939 just weeks after the start of the Second World War. With armed conflicts continuing to take place around the world today, the questions these two brilliant thinkers discussed remain as pertinent as ever. Write a poem that addresses the question of ‘why war?’ or the theme of disillusionment. You may want to write from personal experience, or adopt a persona. If you are interested in learning more about Freud’s life and work, the Freud Museum London offers lots of information on their website, including a timeline of Freud’s life. If possible, a visit to the museum may provide further inspiration. 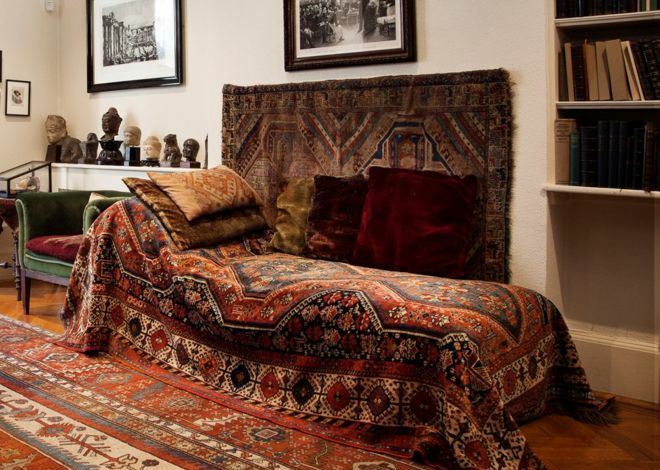 You can explore Freud’s study where he analysed his patients, and see his vast collection of antiquities and the famous psychoanalytic couch itself. Visit the website to find out more. You might like to check out these modern examples of dialogues between leading political and cultural commentators exploring the debate around the legacy of WWI, from the Donmar Warehouse. The lucky winners will receive a chance to have their poems displayed in a Freud Museum exhibition and the three best will receive a prize from the Freud Museum shop. The challenge is now closed – but you can read the incredible winners by following the links to the side of the page, and be inspired to write your own poem to submit to one of our Poetry Opportunities! What a coincidence, I’m in the middle of writing a historical fiction novel about Freud’s family/Vienna during the period 1912-1919! That is a coincidence! You’ll have lots of inspiration for a poem!